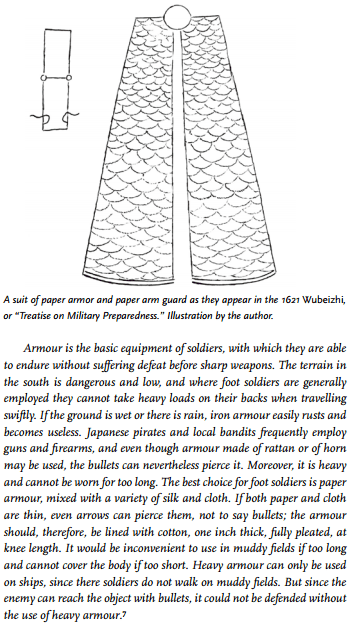 It has been said that several hundreds of years ago, during the 600 BC, the Chinese had developed a method to construct a battle armour using just paper. Sounds like an implausible myth. But turns out, after a good amount of testing by mythbusters, it can be said that paper armour probably was real. By folding paper multiple times, and by layering it with shellac or resin like it used to be done in the old days, or even without any kind of resin in between, paper becomes considerably strong and can stop attacks from arrows, stabs etc, just like an armour is supposed to do. In fact, an armour made of paper is much lighter than its steel counterpart and would have added agility to the warrior’s movements. So, technically it outperforms a steel armour. However, when a paper armour gets wet, like we all know, it becomes heavy. It actually becomes heavier than the steel armour. So, it wouldn’t have been a good choice for the Chinese if the battle was being fought on a rainy day, or if a river had to be crossed. The paper armour made by the mythbusters team was made up of small fragments of folded paper, each of which were about half an inch thick. While just 1mm thick steel did the trick.